Submitter: Here are a couple of poetry books I just withdrew since they haven’t checked out in several years. 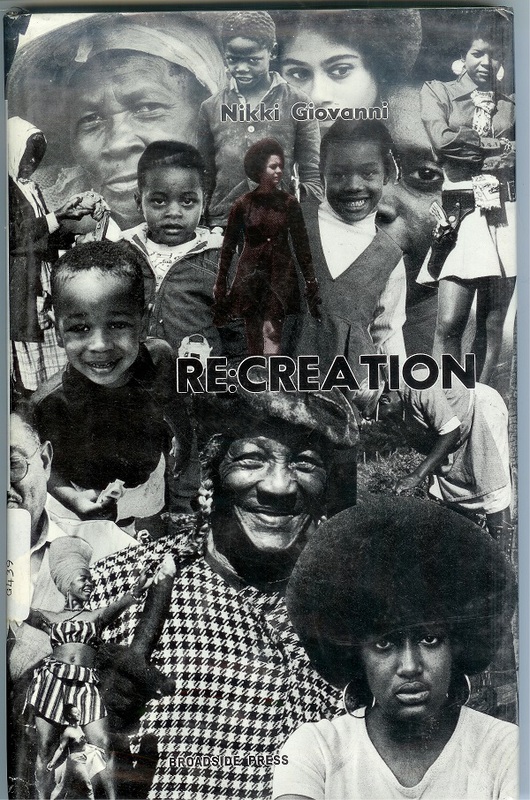 They aren’t “awful” in content – other Nikki Giovanni and Rod McKuen books still check out here – but the covers were just so groovily early 70s, I had to submit them. Here’s a link to one of Rod McKuen’s spoken word album poems about a cat. He was well-known as a songwriter as well as a poet and was a Grammy winner – from what I’ve heard, it’s all very mellow and emotional. Check out his Wikipedia article. He’s one of those people who was very popular at one time, but not so much any more. Holly: I’m not into poetry, and will admit that I’ve never heard of Rod McKuen. Nikki Giovanni, yes. I agree that these covers are too awesome not to post, though! 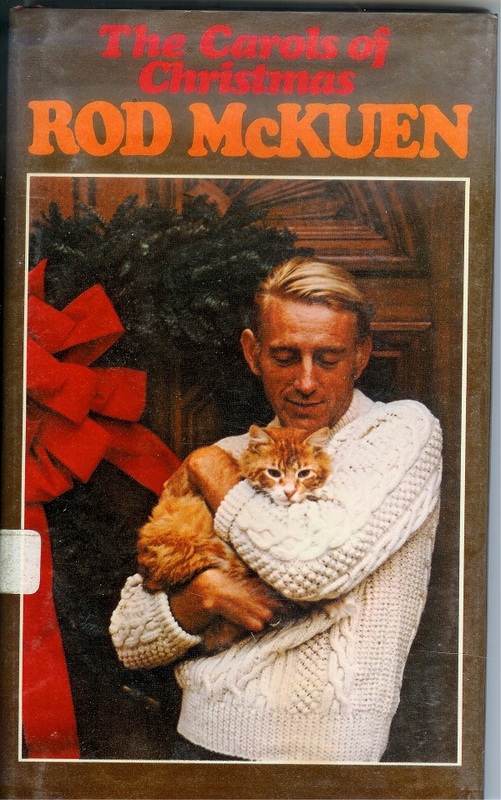 And here’s a link to a Rod McKuen poem called “A Cat Named Sloopy.” I wonder if that’s ‘ol Sloop on the cover. Aw, the Sloopy poem was so sad! I was actually pleasantly surprised by his writing, based on that cover. That sweater…. My mom was a big fan of Rod McKuen back in the day and she gave me a few of his albums to transfer to MP3 (my turntable can be hooked up to a computer), but I haven’t been able to summon the mental fortitude to get through an entire album to do so. It’s just so . . . not my style, to put it mildly. I’ve been a big Rod McKuen fan since stumbling upon a book of his poetry at a book sale many years ago. Recently picked up a couple of his albums on vinyl. 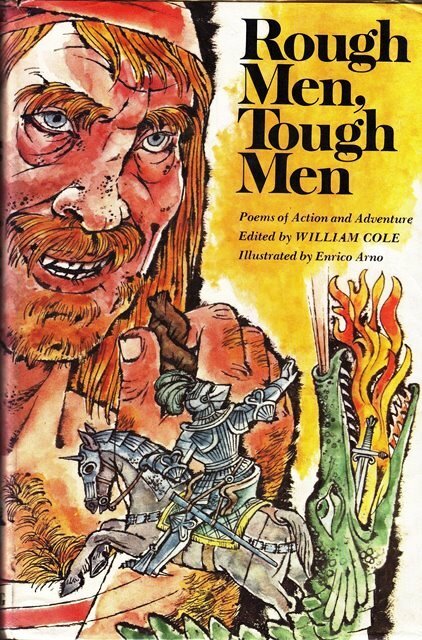 Haven’t ever seen this book of his but I love the cover! If a book called “The Carols of Christmas” doesn’t contain well-known popular “Christmas carols”, it’s false advertising. 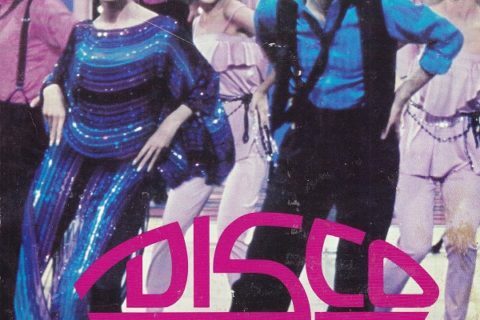 And if it does… is Rod McKuen responsible for any of those? Another of the titles is indeed “The Carols of Christmas”, so presumably it is one of those Christmas songs about Christmas songs. I loved Rod McKuen in the 70’s when I was a teenager. The sweater he is wearing is an Irish fisherman’s knit, very complicated to knit and very popular in the 70’s. McKuen was part of the popular culture of that decade, never considered a serious poet, and probably only of interest to those of us who listened to and read his poems way back when. I also love Nikki Giovanni’s poetry. She is a well-respected serious poet and her books are worth keeping. 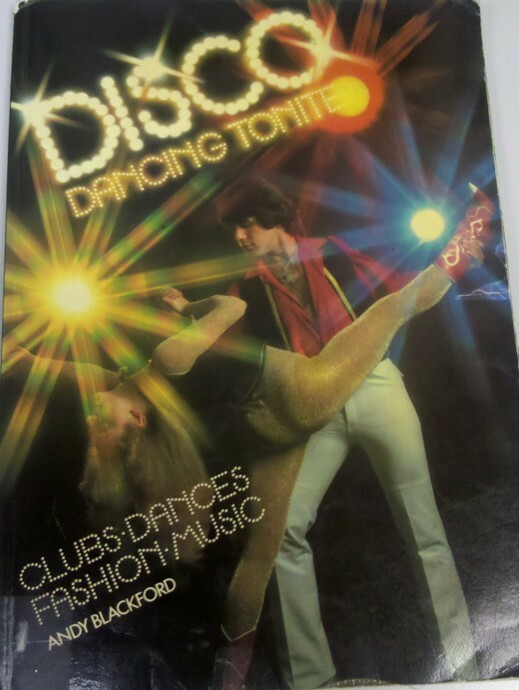 The cover of that book is symbolic of the the era, though not attractive now.